CLICK HERE TO DOWNLOAD THE POWER POINT FOR YOUR REVIEW! The American Medical Association reports that an average of 95 medical liability claims are filed for every 100 physicians, almost one per doc. Nearly 61% of all physicians over 55 have been sued at least once. Before the age of 40, more than 50% of obstetricians/gynecologists have already been sued. Ninety percent of general surgeons age 55 and over have been sued. In the US, it is not a matter of “IF” an independent healthcare provider will be sued, it is a matter of “WHEN”!!! The AMA reports that the severity of claims is on the rise (… as are the number of trial attorney’s AND the funding of trial bar associations). While the vast majority of claims are dropped or decided in favor of physicians as “meritless,” the cost of defending docs is costly to the national health care costs and patient care. The average defense cost for a dropped claim is $22,000, and over $100,000 for cases that go to trial. Defense costs are as high as 48% of the incurred losses, compared to an average 16% for casualty insurance claims. Some feel these costs are “validation” for the need for national and state healthcare intervention/reform ???? Today, some constituencies claim physicians practice “self defense medicine” which may (?) increase healthcare costs as much as by 30% (?) or more. This may (?) also reduce lawsuits? Who knows with absolute certainty ???????????? Incomes of independent physicians has been reduced significantly in last 20 years. More deaths occur by healthcare provider and hospitals errors than by gun owners. Exit of Travelers Insurance from Medical (Malpractice ) Professional Liability (MPL) insurance in 1975 created. Travelers inability to obtain rate adequacy lost nearly $1.50 for every $1.00 earned, creating an insurance crisis, but also opportunities for state and regional insurers to expand. Led to the formation of New Mexico Physicians Mutual Liability Company (purchased by APCapital in 1999). Nationally, MPL Liability premium accounts for approximately 4% of all insurance company premiums in all property/casualty lines… over $10 billion. Rates have increased 300% in the last dozen years, despite most states having passed “reform” laws that benefited insurers and healthcare providers. In New Mexico, the Medical Malpractice Act of 1976 is the legal/regulatory template for healthcare providers and insurers. A pure form of “comparative negligence.” Thus, a claimant’s negligence will never bar recovery but, instead will only reduce the claimant’s recovery in proportion to his fault. In any lawsuit to which comparative negligence applies, a tortfeasor is only liable for that portion of the judgment equal to his share of the fault. Any medical malpractice action for injury or wrongful death must be brought within three years from the date when the alleged incident occurred. According to Swiss Reinsurance Company, New Mexico is a good state to do business in for insurers due to the low liability limits, pay-out caps and overall low jury awards. The New Mexico Medical Society (NMMS) and Greater Albuquerque Medical Association (GAMA) have effectively held the New Mexico Trial Bar “at bay” in their attempts legislate a raise current liability caps. Legislators were told an increase in the cap would increase medical liability premiums significantly… as much as 25%. Under the Medical Malpractice Act, independent healthcare providers must obtain liability coverage from an insurer on an occurrence based form, or maintain a cash deposit with the Superintendent of Insurance. New Mexico generally requires the use of expert testimony to prove a claim, unless the alleged negligence is so apparent as to be within a layman’s comprehension. The Patients Compensation Fund is the primary component of the 1976 Medical Malpractice Act (copied from Indiana). The PCF provides an excess layer of professional liability coverage for its member healthcare providers. Awards are capped at $600,000, except for medical care costs and punitive damages, which are not capped. All medical liability claims against healthcare providers in the PCF must be reviewed by the New Mexico Medical Review Commission before they can be filed in court. There is a three-year statute of limitations… except for minors under the age of six have until their ninth birthday to file a claim. The PCF is administered by the Superintendent of Insurance. The PCF is funded solely through surcharges (ie. Premiums) levied against its healthcare providers. The latest actuarial study (summer 2011) evaluated the PCF to be solvent. Definition includes – “…doctors of medicine, hospital, outpatient healthcare facility, osteopathy, chiropractor, podiatrist, nurse anesthetist, or physician assistant”. Not business entity. We currently have approximately 1800 insured members in the PCF. To be eligible, a primary layer of annual occurrence form coverage of $200,000 (per occurrence) must be obtained from an authorized/approved insurance company. Unfortunately, not many insurance carriers are actively writing in New Mexico… nor many insurance agents are well-versed in this specialty line of insurance. The top ten insurers in New Mexico write approximately $50 million of Direct Written Premium. 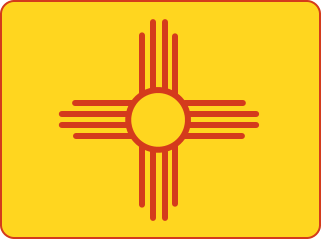 With the assistance of several prominent physicians, legislators and the NMMS, New Mexico (like in most states), formed a mutual insurance entity known as New Mexico Physicians Mutual Liability Insurance Company (NMPMLIC) after Travelers Insurance Company decided to stop writing medical malpractice insurance in the 1970’s. This company was managed by New Mexico physicians and several hired insurance professionals. After financial struggles and pressure from audits from the New Mexico Insurance Department, NMPMLIC was acquired by APCapital (MICOA) domiciled in Lansing, Michigan. New management and financial surplus brought stability to the organization. The NMMS partnered with APCapital and endorsed their portfolio and presence. An award-winning speaker and lecturer on medical insurance concerns, Bob has a lifetime commitment to physicians and their liability protection needs. Bob, a resident of Albuquerque, has worked closely with our elected officials in Washington to make certain that needs of physicians are heard. His inside knowledge and connections make him a highly respected insurance industry heavyweight. New Mexico is a state rich in geographical and cultural diversity, with a truly stunning topography and grandness of history, New Mexico has much to offer. However, a poll conducted by Research and Polling Inc. (Brian Sanderoff, President) the largest polling organization in the state, revealed that along with Medicare/Medicaid reimbursement rates, medical malpractice liability insurance was one of their top “dissatisfiers” when considering practicing medicine in this state. Of responding physicians, 42% indicated they had considered leaving their practices. This dissatisfaction is in correlation to the ongoing availability and affordability problem that our current medical malpractice structure has placed us in. New Mexico relies on malpractice insurance provided by out of state companies and currently has no state domiciled medical society sponsored insurance carrier. Over the past 14 years, the medical malpractice market has been dominated by a single insurance carrier, The Doctors Company (TDC) domiciled in Napa, California. The Doctors Company recently purchased APCapital (domiciled in Lansing Michigan, and also known as American Physicians Assurance) who was the largest medical malpractice insurer in New Mexico following their purchase of New Mexico Physicians Mutual Liability Insurance Company in 1999. Thus, The Doctors Company currently writes approximately 60% of the entire market share. In New Mexico, APCapital/TDC has raised premiums about 80% in the last eight years and over the last thirteen years premiums have increased 300%. During this same 13 year period, the state’s medical malpractice fund (Patient’s Compensation Fund of New Mexico) has increased premiums less than 30%. Further, APCapital loss ratio in the last eight years has averaged under 40% which is extremely profitable and well below industry average nationally. The potential medical malpractice premium cap for this state exceeds $50 million. 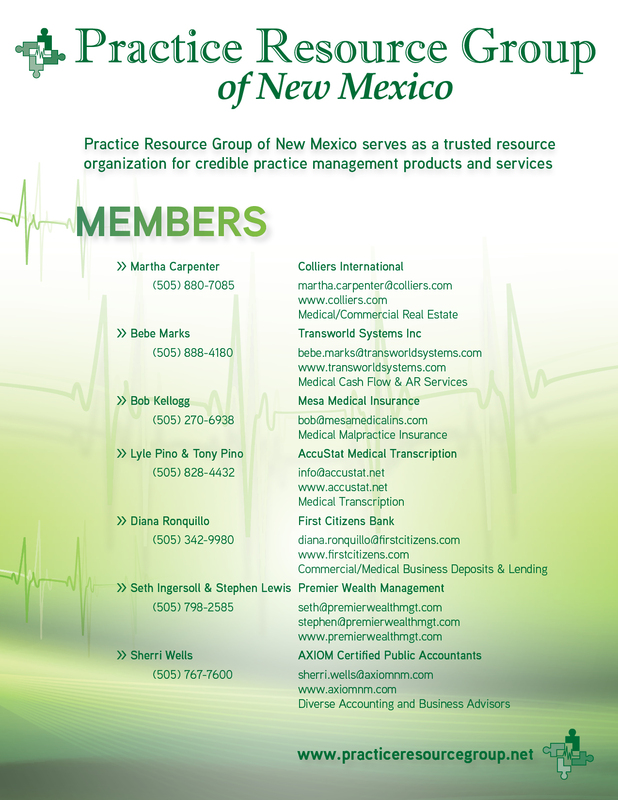 The Doctors Company/APCapital also has the “exclusive endorsement” of the New Mexico Medical Society (NMMS). The NMMS receives a sizeable annual fee for that endorsement. The NMMS and TDC/APCapital have an agreement that requires membership in the NMMS before offering coverage with their company. Many New Mexico physicians take exception to this mandatory membership requirement and some resent the “exclusive” agreement because it discourages other, more competitive insurance companies from coming to New Mexico. The solution to this crisis is to entice new competition into the New Mexico medical liability environment. According to many insurance professionals and legislators, The Doctors Company has a monopoly on the New Mexico market. “Competition” will drive rates down and force the current carrier, TDC, to get competitive. If they do not, they risk the likelihood of losing significant market share to a new entity or entities that are interested in supporting the medical community at large by offering comprehensive coverage options at a more favorable and fair price. An opportunity exists for a new medical malpractice agency, Mesa Medical Insurance Agency (MMIA), to be the new preferred agency in New Mexico by bringing in new insurance companies to our state in order to resolve the difficulties facing healthcare providers. An insurance agency whom represents markets that offer both the occurrence form and claims-made form policies with competitive rates can offer a very attractive alternative to products currently available in New Mexico. A domestically located specialty insurance agency who understands the local market concerns and who has influence in the regulatory and legislative sectors will have an advantage on writing and retaining business. Further, the New Mexico Medical Society should reconsider the exclusivity of their endorsement to any entity. Such endorsements discourage fair competition. At minimum, The New Mexico Medical Society should consider “multiple” endorsements to any or additional insurance operation that advocates for and provides for any solutions to the current availability and affordability crises in New Mexico. Several physicians who understand this crisis have spoken out about their dissatisfaction of the NMMS’s decision to get paid a significant annual fee to support a “single” company who experiences tremendous profits on the backs of our healthcare providers. Unfortunately, the New Mexico Medical Society continues to endorse a company that is gaining enormous profits on the backs of unknowing medical providers. According to Mesa Medical Insurance Agency’s research, the preferred distribution channel for medical malpractice insurance is the independent agency system. Every physician has access to independent insurance agents throughout the state. In addition, independent agents most likely handle other insurance products needed by physicians. Furthermore, independent agents have proven to be very effective marketers of medical malpractice in other states. In contrast, The Doctors Company (APCapital) is a direct writer (via the New Mexico Medical Society) and its distribution system is limited by comparison. Mesa Medical Insurance Agency will also enjoy the marketing advantage of being a New Mexico based distributor and broker in a state that is remarkably territorial. Surveys reveal that the New Mexican culture is heavily biased toward doing business with New Mexican businesses, as evidenced by the success of the states two largest domestic insurers, New Mexico Mutual and Mountain States Insurance. Mesa Medical Insurance Agency has the opportunity to provide New Mexico’s healthcare providers with local experience in placing malpractice coverage based on local, front-line underwriting and claims expertise. New Mexico provides one of the best legal underwriting environments for medical professional liability carriers in the country. The New Mexico legislature, following Indiana and California’s lead, passed a bipartisan tort reform bill in 1976 called the Medical Malpractice Act. This legislation is recognized today as one of the most significant tort reform bills enacted in the country. The New Mexico Medical Malpractice Act has proven to be one of the most effective tort reforms enacted in all 50 states. Under the law, healthcare providers can qualify for protection under the Act by purchasing a $200,000 basic occurrence policy. No claim may be awarded exceeding $600,000 for non-economic damages of which $400,000 is paid by the state Patient’s Compensation Fund. The Act only addresses Occurrence Form coverage… and there are less than five primary insurance carriers currently offering this broad Occurrence form of coverage in New Mexico. The rest of the market is offering Claims-Made coverage which does not offer as broad (or risky nose or tail cover) of an insurance policy. In addition to the low limits, the Act requires all lawsuits come before a Medical Review Board. On average, 77% of all the cases reviewed by this Board are rejected as regards to physician negligence. Legislative discussions are currently taking place to raise the limits of exposure under medical malpractice policies in New Mexico and to consider opening the Act to Claims-Made like other states have already reformed to. Management of MMIA is not opposed to the limits going up, as the current levels do not adequately represent the potential losses that might be suffered by patients who have received inadequate service. Further, management of MMIA is not opposed to opening the Act to reform (like the state of Indiana did) as long as it attracts more competition to the state and healthcare providers are not then automatically paying higher premiums due to reform. It should be noted that MMIA insurers are prepared to file adjusted rates in response to any legislative changes to the Medical Malpractice Act. Overview of Mesa Medical Insurance Agency Mesa Medical Insurance Agency (“Mesa Medical”, “MMIA”, or the “Agency”), is a newly formed medical malpractice insurance broker/agent entity domiciled in New Mexico. The Agency was formed by Bob Kellogg. Bob is a proven insurance industry leader in the medical malpractice and workers’ compensation insurance sectors. He also has extensive experience in converting a mutual insurance company to a publicly traded stock company. Based on his detailed analysis of the New Mexico market, he and his team formed MMIA to address New Mexico’s current market opportunities. 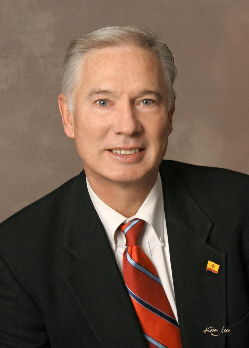 Mr. Kellogg was the Chief Operation Officer running New Mexico Mutual Insurance company from 2003 to 2007. He was first approached by several New Mexico legislators in 2007 about forming a Medical Professional Liability (MPL) insurance operation to address the skyrocketing malpractice rates and the lack of New Mexico insurance markets offering alternatives. Bob left New Mexico Mutual to form Mesa Medical Insurance and has been successful in bringing three new, highly rated malpractice insurers to New Mexico. MMIA plans to expand its medical malpractice operations into other states where there are similar “availability & affordability” issues to New Mexico. In addition, if other lines of business such as workers’ compensation were deemed to be attractive, MMIA would consider becoming a multi-state and multi-line insurance brokerage. Bob Kellogg, the President and CEO of MMIA was the former Chief Operating Officer for APCapital and was responsible for running APCapital’s New Mexico operation from 1998 to 2003. From 2003 to 2007 he was the COO of New Mexico Mutual Group, the largest workers’ compensation insurer in the state. 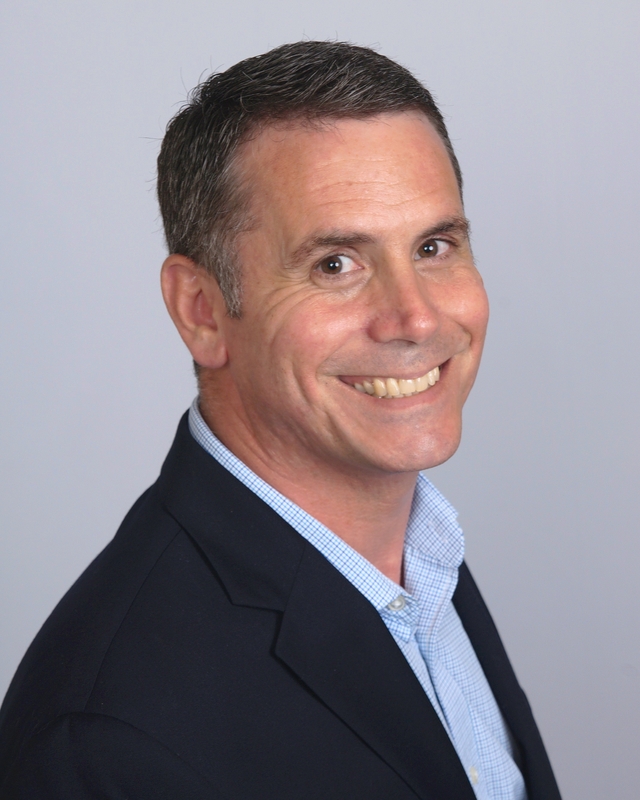 Over the past ten years, he has become very familiar with the New Mexico medical community, its healthcare provider system, and the state’s overall culture, economy, politics, and insurance industry. Mr. Kellogg is a nationally recognized insurance executive with a record of successful oversight of medical malpractice insurance operations. Notably, he restructured APCapital’s national operations from 1998 to 2002. His plan for a new malpractice insurance company in New Mexico is supported by significant industry and political leaders. His plan includes the establishment of a foundation that will initiate medical activity in New Mexico in selected areas of medical education and research. The foundation will engage highly recognized academic and medical institutions in the country and will function in coordination with MMIA. Mr. Kellogg’s experience and success in converting a mutual insurance company to a stock insurer, the largest demutualization of its kind in the United States, renders this strategy as a viable option. Mr. Kellogg co-managed the December 2000, IPO of APCapital (NASDAQ symbol ACAP) raising over $150 million in growth capital and surplus. The initial IPO was $13.50 per share, and within 5 years, the stock value rose to over $50 per share. MMIA management has conducted a thorough analysis of the New Mexico medical services market and has found it to be one of the least efficient states in the nation in providing quality healthcare services. The availability and affordability of medical malpractice insurance has proven to be a major deterrent and factor in attracting new healthcare providers to the state. At the present time, New Mexico has a problem because physicians, particularly the more skilled providers of healthcare, are reluctant to maintain practices in the state. A lack of adequate medical malpractice insurance providers is a major contributing factor to this dislocation. Mesa Medical Insurance Agency’s underwriting, marketing, and risk management work will be performed through a centralized process in Albuquerque, NM. The underwriting department’s responsibility is the issuance, establishment, and implementation of front-line underwriting standards for all insured physicians. The underwriting staff will have the authority to evaluate, approve, and issue medical professional liability applications to multiple insurance company’s who are approved to write medical professional liability coverage in the state of New Mexico. Individual health-care providers and medical groups that comply with guidelines imposed by MIAA will be provided a formal quotation and proposal of insurance coverage once the market has been shopped for the most preferred market and most competitive rates based on the assessment (and application) of the prospective health-care provider of group.. Through its management and actuarial staff, MMIA will regularly establish recommended rates and rating classifications for physicians and medical groups to their broker companies. These will be based on the loss and loss adjustment expense (“LAE”) experience to be developed over time combined with the loss and LAE experience for the entire medical professional liability market. MMIA will have various rating classifications based on practice location, medical specialty, and other liability factors. The Agency will also utilize various discounts, such as claim-free credits, to encourage low risk, high profit physicians to insure with MMIA. The Agency also has market solutions for physicians who have had “incidents” or a history of malpractice claims. Mesa Medical offers a variety of “risk management” solutions to place providers in a program that restore their medical insurance records to receive pricing “discounts” in overall medical malpractice policies. The nature of MMIA’s business requires their broker insurance companies to remain sensitive to the marketplace and the pricing strategies of competitors. Using available market information, MMIA will assist their insurance companies set prices based on estimated future costs. From time to time, MM!A may reduce discounts or apply a premium surcharge to achieve an appropriate return. Pricing flexibility will allow the Agency to provide a fair rate commensurate with the assumed liability. If the pricing strategy cannot yield sufficient premium to cover MMIA’s cost on a particular type of risk, MMIA may determine not to insure that risk. It will be MMIA’s philosophy not to sacrifice their Agency or their partner Company’s profitability for premium growth. The insurance policies the Agency writes will have one-year policy terms. Annual review/comparison of all markets will be conducted for each carrier doing business with Mesa Medical. Detailed analysis will be conducted with regard to rate competitiveness, ease of doing business, and responsiveness to New Mexico physician needs. Currently, there are no Medical Professional Liability (malpractice) Insurance companies “domiciled” in New Mexico. Mesa Medical Insurance Agency is the only brokerage/agency in New Mexico that has a staff that has actual experience in managing/running Insurance Company (or risk bearing entities). Bob Kellogg’s management of APCapital was the 17th largest MPL insurer in the United States. His credibility, experience and advocacy helps shape the overall physician insurance environment in New Mexico. Management has met with numerous medical professional companies, doctors, insurance agencies, & legislators to make certain Mesa Medical is the most professional and best equipped entity to address the physicians “availability and affordability” concerns..
Mesa Medical Insurance Agency provides professional liability coverage for physicians, medical groups, clinics, and ancillary healthcare providers. Today, too many physicians are doing business direct with out-of-state insurers who are naïve to New Mexico provider issues and are experiencing excessive profits. MMIA offers a better solution by offering physicians alternative markets and options from a local New Mexico business.. MMAC’s marketing philosophy is to initially underwrite profitable business in New Mexico, using a cost effective distribution system. 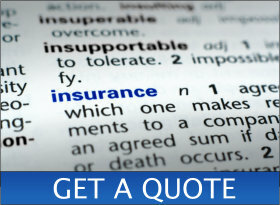 MMAC will work with successful, financially sound insurance companies that address unique New Mexico laws and provider concerns. 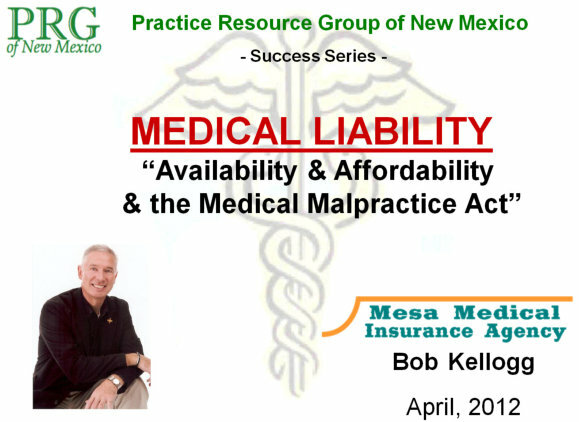 New Mexico has an “availability” and “affordability” crisis in the healthcare provider medical liability insurance arena. MMIA is leader in addressing the crisis. Offers alternative markets, thus offers more competition pricing via the entry of additional medical malpractice companies. One of the fastest growing MPL entities in New Mexico with highly recognized, hig-profile physician client customers. Endorsed by the New Mexico Osteopathic Medical Association (NMOMA) and the San Juan Independent Physician Association (SJIPA). Proven management team with record of building value. Local market professional available to all health-care providers, rather than absent, out-of-state, non-focused insurers making enormous profits. Excellent reputation as the state legislature’s identified “expert” in all medical liability laws and provider issues. Risk Management Programs and CME opportunities by attending MMIA seminars. Preferred distribution channel via the independent agency system, not offered by the primary carrier. Comprehensive product portfolio that addresses the coverage availability crisis in New Mexico. Underwriting and pricing flexibility that allows for a greater number of physicians to qualify for protection under the Medical Malpractice Act. Coverage availability for Allied Healthcare Providers that will differentiate MMIA from competitors. Local presence to handle claims, risk management, sales, and underwriting functions. Positive social and economic benefits by helping to overcome one of the drivers of physician’s dissatisfactions (medical malpractice underwriting and pricing practices) in practicing medicine in New Mexico. Physician advocacy – engaged with regulators, legislators, insurance agents, and healthcare providers in resolving New Mexico’s underserved market needs. MMIA is the primary resource in addressing solutions to the current availability and affordability crisis.